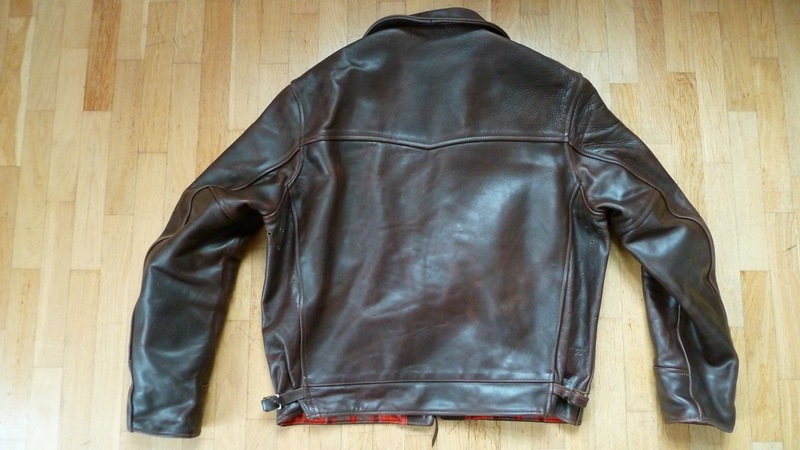 Last spring I ordered a Aero Leather Highwayman horsehide jacket at a visit in munich, from Burghard Plug – Gasoline Alley. The process of finding the “right” jacket took years. 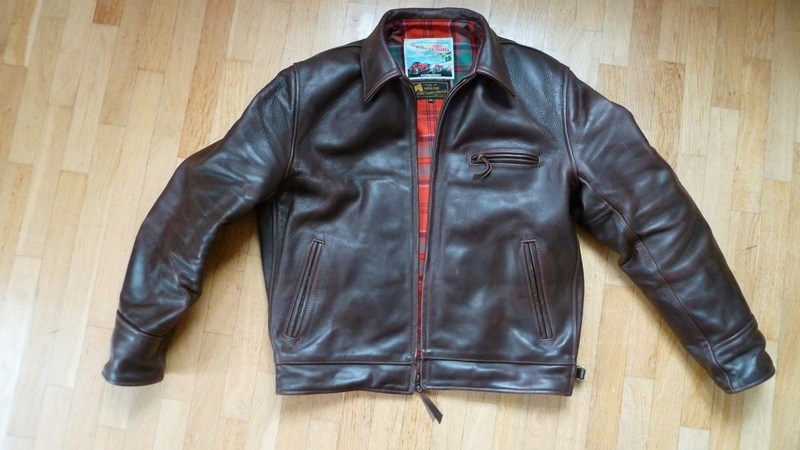 Aero leather jackets are regarded to be the “Rolls Royce” of all. 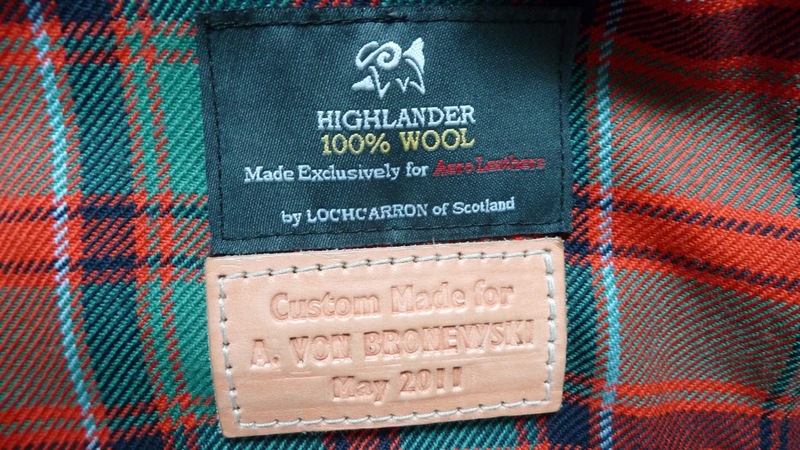 I totally have to agree, the craftsmanship and the quality of the materials used are hard to top. Regarding the price I even would say it is a bargain. Endless options to customize your own jacket which you have to deal with the next decades need some advice. So I strongly recommend to visit one of the Aero Leather dealers for advice. For good images beside the original Aero Leather website check Kentaurus by Stefan Laskowski in Cologne. Three month later I finally got a call from Burghard and he told me the jacket arrived. I have to say at the beginning the leather jacket did not fit very well but because of the extremely thick leather it takes a bit of break in time. 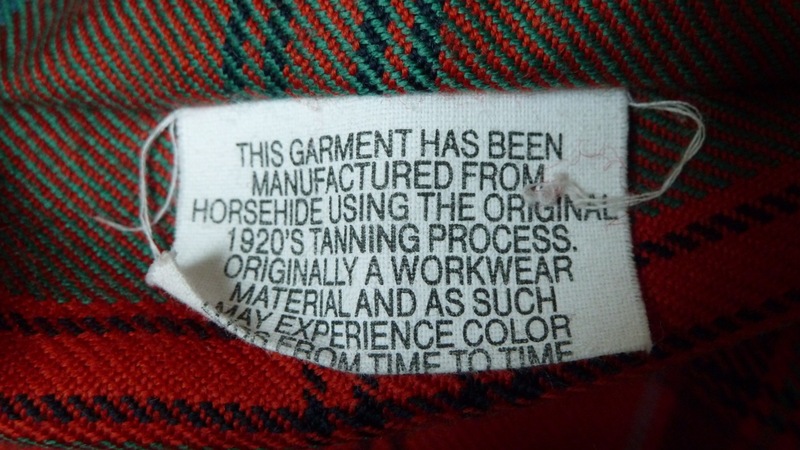 The true character and fit of the jackets develops over the time. The jackets weights around 4-5 kg with heavy front quarter horsehide. At the beginning it was hard to lift the arm and to touch the back of the neck collar – just to give you a picture. The jacket still feels like a body armor but the resistance has decreased a lot. Nice abrasion marks and “folds” are creating and the jacket is “falling” more naturally. If you wonder why the jacket has no cord or chain for hanging it on a hook. No way! The weight of the jacket would deform the jacket, just throw it on the floor, thats it. I will post more images over the time to trace the changes. 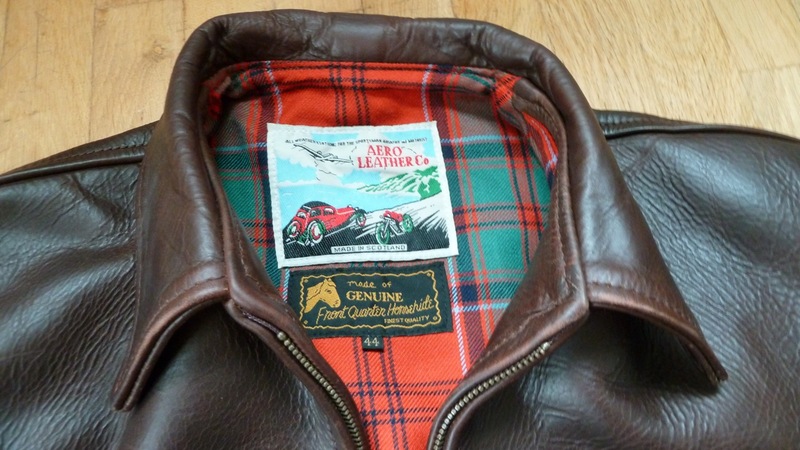 This entry was posted in Style and tagged aero leather, aero leather tag, aeroleather, brown, burghard plug, dr house, fqhh, gasoline alley, heavy front quarter horsehide, highway man, highwayman, highwayman jacket, horsehide jacket, horsehide leather jacket, kentaurus, leather, lederjacke, pferdeleder, tag on 8. November 2011 by Alex. stunning jacket – love the fact that you have to throw it down rather than hang it up. to quote chris von damn yak : “treat it like you hate it”. works well with the jacket bullet proof and no worries about damaging something. 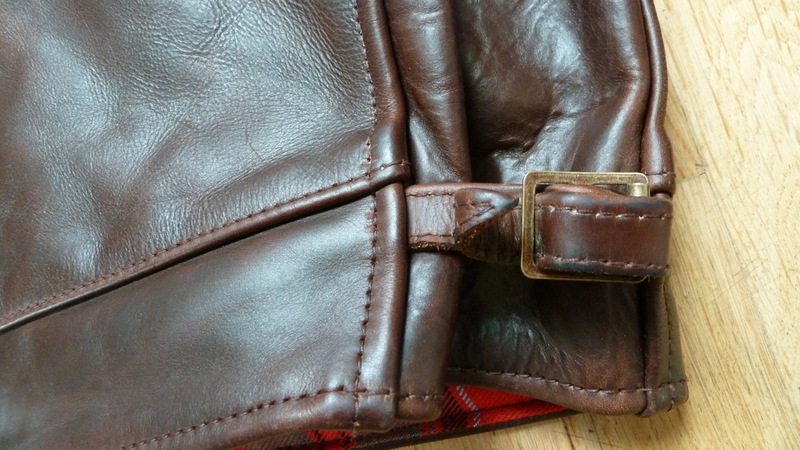 Hi Alex – Does your Highwayman have inner pockets, and if so, are they vertical or horizontal style? Thanks. hello peter – my one has got two inside pockets, they are locked with a brass button and are vertical on the leather and go wide over my wrist. They are easy access. 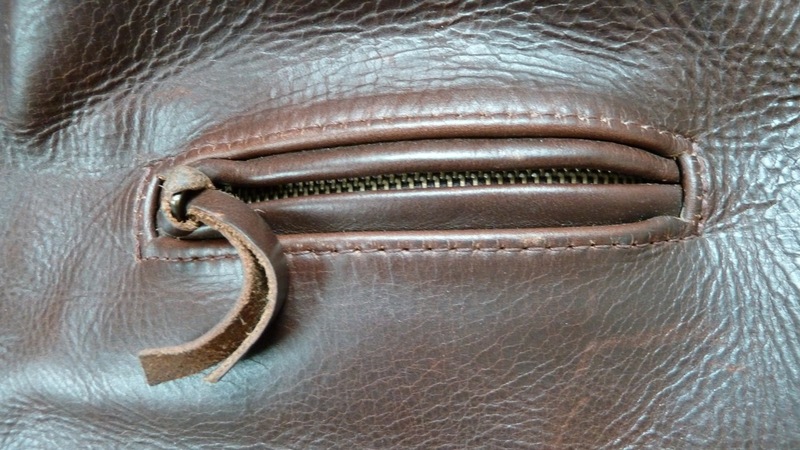 The outside pocket is quite narrow for big hands so either you order them with a longer zip or I would recommend to limit the depth of the pocket.